Review of top 10 illegally downloaded movies in 2013 made and the team from ‘Torrent Freak’. 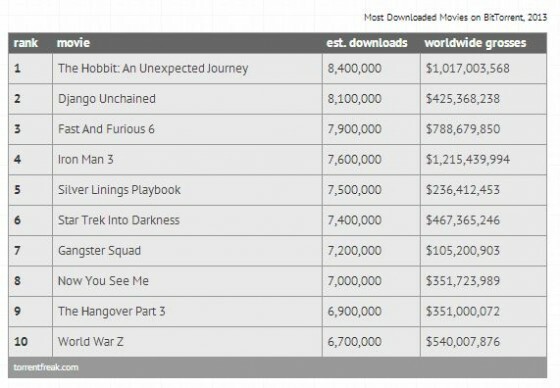 They released details about movies which were downloaded the most in year behind us. According to them, the most downloadable movie was “Hobbit – unexpected journey”. 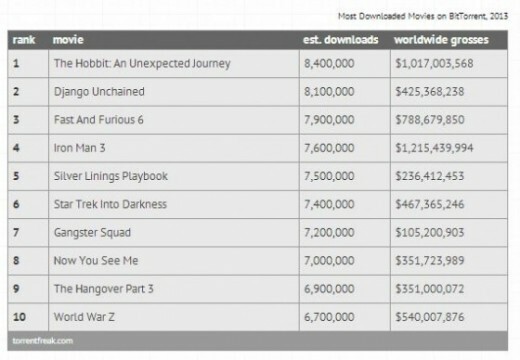 Whit something more than 8 million downloads, Hobbit is at the first place on this chart. Second place whit also more than 8 million downloads holds ” Django Unchained” and third place with almost 8 million downloads holds “Fast and Furious 6”.